Psychologists found that the sounds of thunder, alarms, noisy sounds or even running locomotive may create fear in children. And this fear is calamitous for children as it has a long-lasting impact on a child’s mind. We have listened to different childhood stories in which a child got scared of something and that thing still scares them, it is all because of that fear which haunts them in adulthood. Two students of a private school in D.I Khan grade 3 got into a childish fight but on the very second day, father of a student came to school to beat the other one. 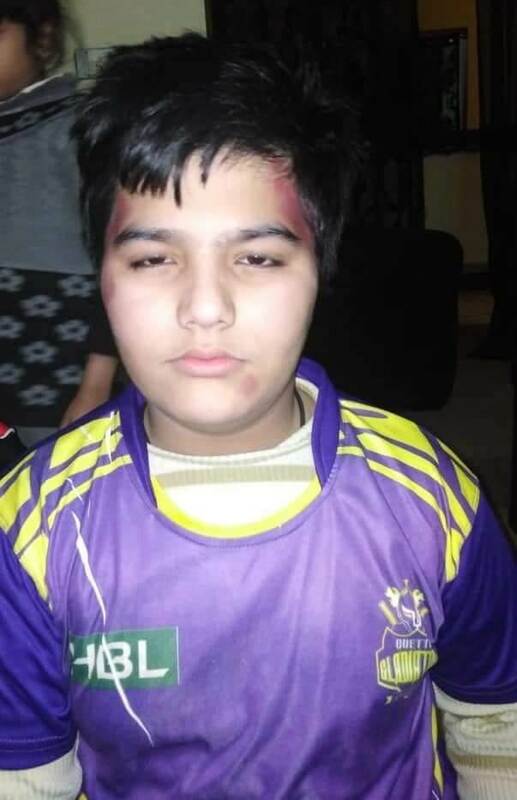 According to the sources, Major Arbab and Dr. Atif Faheem’s sons jumped into a silly fight on a regular school day but Major Arbab took it seriously and came to school to beat Hassan – the son of Dr. Atif Faheem. When Major Arbab was beating Hassan, no one came forward to save him. 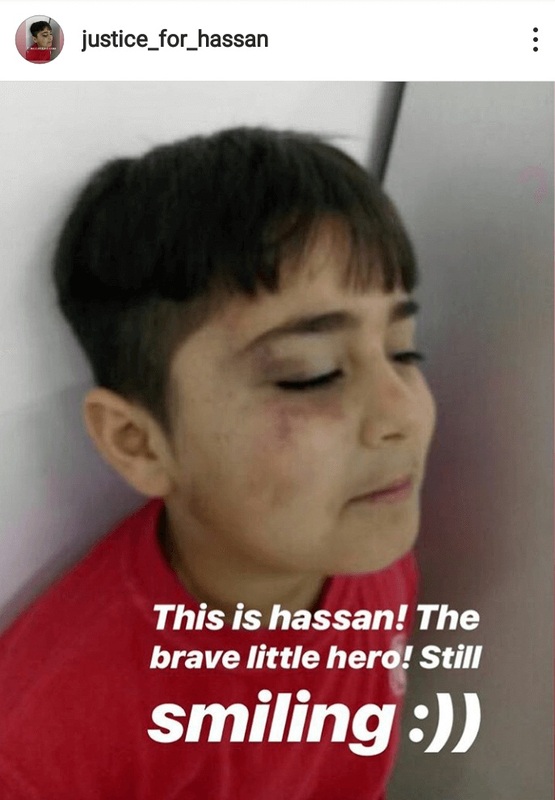 The Pictures Of 7-year-old Hassan Is All Over The Internet While People Are Demanding Justice For The Little Guy! In a video message, Hassan told that Major Arbab’s wife insulted Hassan’s parents as well. The behavior of Major Arbab was questioned by social media users, they want justice for the little child. Hassan Narrated The Whole Incident By Himself! A Social Media User Shared Major Arbab’s Son Picture And Wants People To Support Major Arbab! 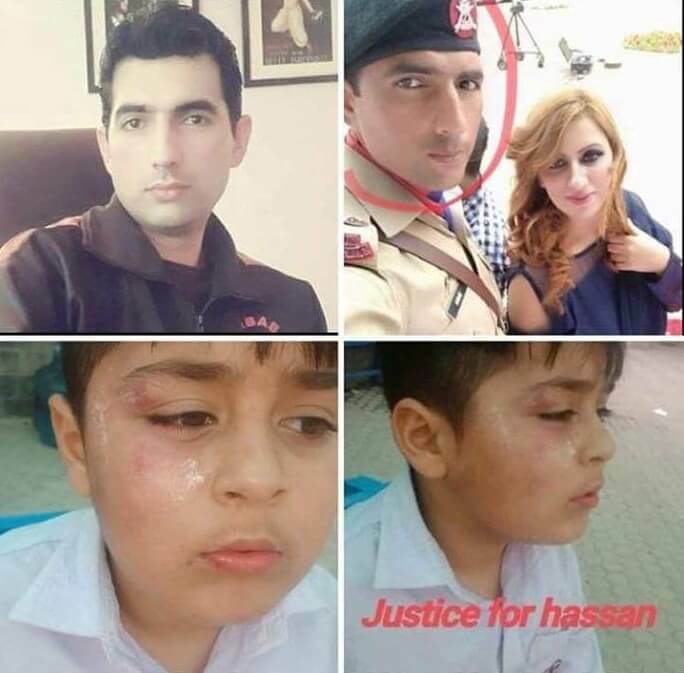 While the people are raising their voices in support of Hassan, a social media user shared few pictures of Aaliyan Arbab with bruises on his face and neck and showed another side of the story. 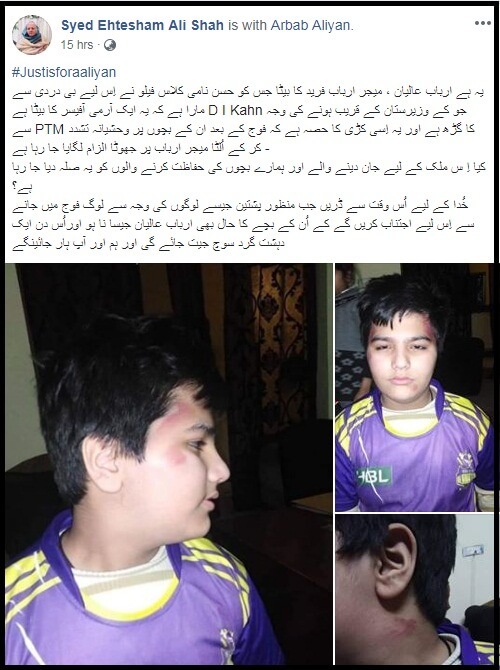 According to the social media user, Aaliyan was beaten by Hassan because he was the son of an army man. The user also wrote in the post that Hassan belongs to Waziristan which is the center of PTM supporters and Hassan’s enmity towards Pak Army forced him to beat Aaliyan. Here Is What The User Wrote In Her Post! However, Kids Fight Doesn’t Give You Right To Beat Him! Here is how people on social media reacting to Aaliyan Arbab’s pictures. Major Arbab’s Behaviour Can’t Be Justified! We Should Teach Them Difference Between Right And Wrong Instead Of Supporting Them In Wrong! There is no doubt that Pakistan Army is always there to support the civilians but what Major Arbab has done to a 7-years-old Hassan can’t be justified anyway. Pakistan Army has made us proud in the world with their bravery but in this case, it happens totally opposite. Let’s see if Pakistan Army takes notice of the incident and strict action against those who breach human rights.